Matrx Flo-Tech Solution Wheelchair Foam Cushion. Some users find the slimline cushion more compatible with their daily living activities. The low profile is particularly beneficial in aiding side transfers. The cover is fully waterproof and allows the user movement, ensures good circulation, reduces the potential for skin damage, has an anti-slip base and carry handle. 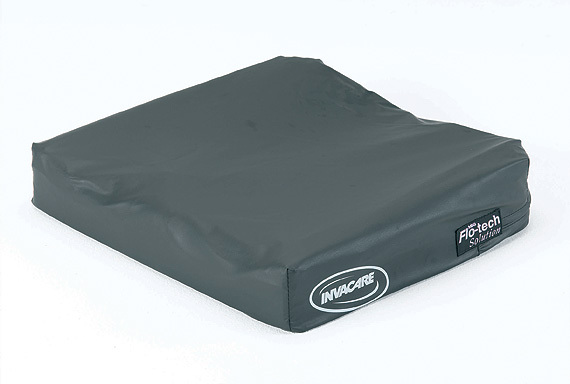 I ordered this to replace my existing worn out cushion, this cushion was recommended to me by my OT , it seems a really good cushion and is very comfortable for me, I suffer pressure problems so hopefully will ease that too.